Washington, Nov 22 (IANS) US President Barack Obama has appointed yet another Indian American, Gargee Ghosh, to a key administration post as member of his Global Development Council. 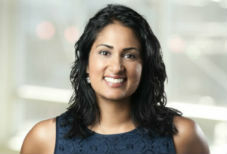 Ghosh is currently the director of Policy Analysis and Financing (PAF) at the Bill & Melinda Gates Foundation. PAF is the foundation’s internal policy shop focused on priorities, trends and innovations in international development financing. Its work spans aid policy, country financing and engagement with international financial institutions. At over two dozen, the Obama administration has more Indian Americans working in high places than any other administration. “I am pleased to announce that these experienced and committed individuals have agreed to join this Administration, and I look forward to working with them in the months and years ahead,” Obama said, announcing Ghosh’s appointment with several others. Holding the current position at the Bill & Melinda Gates Foundation, since 2012, Ghosh has been involved in development policy and financing from a range of perspectives including as programme manager at the Centre for Global Development. She has worked in Global Health on innovative finance, helping to launch significant efforts in immunisation financing and in impact investing. Previously, she was senior expert in international development at McKinsey & Company and also worked as principal of charitable giving at Google. She is a member of the advisory board of the University of California, San Francisco’s Global Health Group. Ghosh holds graduate degrees in Economics for Development from the University of Oxford and in International Relations from Georgetown, and an undergraduate degree in Economics from the University of Victoria in Canada.